iCloud backup helps you to secure your valuable data. If you have some sensitive data and you don’t want to lose it, you can backup it to iCloud. You can backup the data on your iPhone or iPad using iCloud. iCloud provides fantastic services as you can secure your data for a long time. No need for any extra space and no risk of any harm. Just backup your data and it will be saved in iCloud always. The best thing about iCloud is it is safe and secure in all terms. Sometimes, you face with a problem and you cannot delete iCloud backup on your iPhone or iPad, but don’t worry we will show you how to fix this problem. However, sometimes, you need to remove some data from your iCloud account. Sometimes, the data is no longer in your use, sometimes the data becomes useless, and sometimes you need to remove some data to free up space from your iCloud account. So, you will need to remove data in order to free up space in your account. Basically, the process of removing data from the iCloud account is very simple. You just have to go to the Settings app and click on iCloud. Now click on Storage and tap on Manage Storage. Here you can delete backups in your iCloud account. 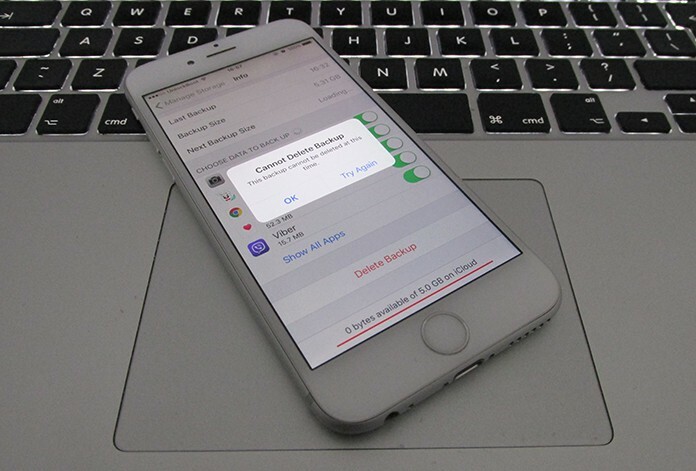 However many users faced the problem of unable to delete the iCloud backup. To easily fix cannot delete iCloud backup problem, follow one of the methods mentioned below. 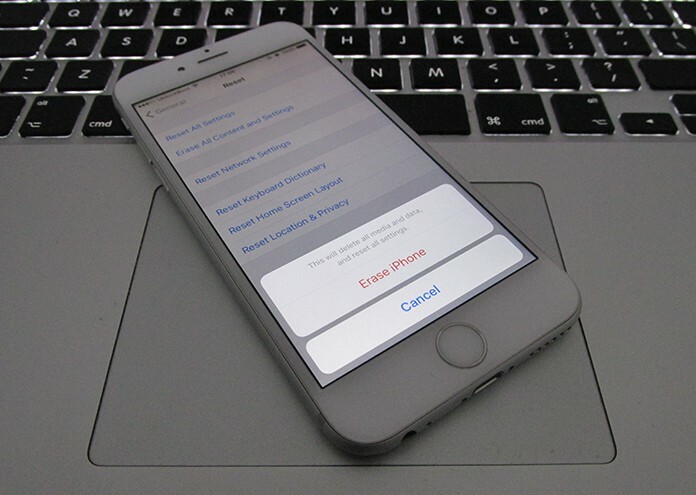 The quickest way to get rid of iCloud error messages is to restart your device. The reason behind restarting is sometimes when you have been using your iPhone for a long time; it needs a reboot. Many problems and errors can occur in your phone’s settings and data. Hopefully, rebooting will solve all the problems regarding iCloud backup deletion. 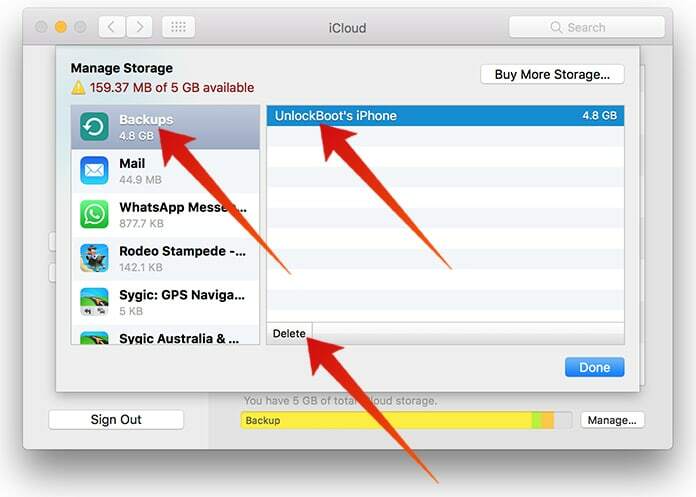 If you are facing problems and you cannot delete iCloud backup on iPhone or iPad, maybe it is due to old iOS version. Make assured you have the latest version of iOS running on your iPhone. If you have an older version, you can update your iOS version from the Settings app. 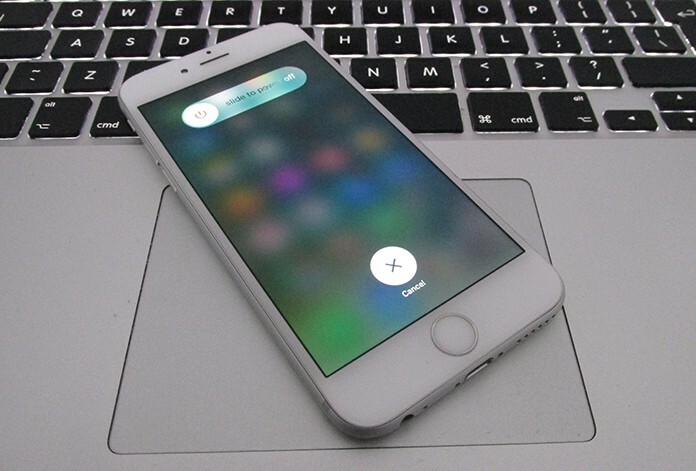 If you have iCloud deletion problems, you can try this method. 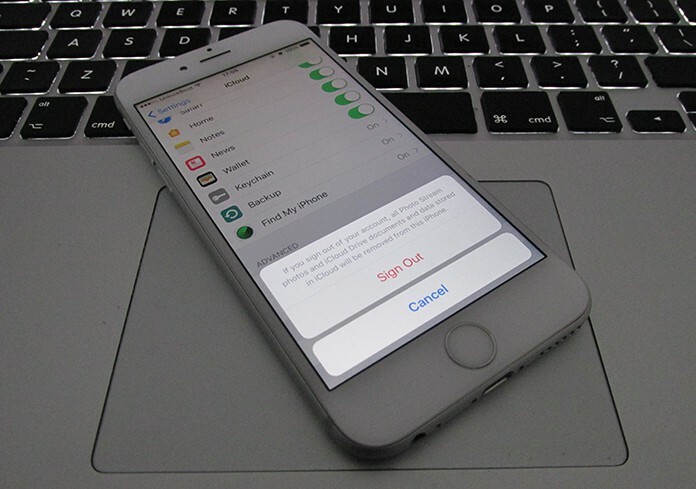 This method is just about logging out and then re-logging into your iCloud account. For this purpose, go to the Settings app and click on iCloud. Now tap on Sign Out. After signing out, you will have to sign in again after few minutes. This will hopefully work, and you will be able to delete your backups from iCloud. You can use your Mac to remove backups from your iCloud if you are unable to delete them from your iPhone. Just move to Apple menu and click on System Preferences. Now tap on iCloud and click on Manage. Here you can delete your iPhone backups easily. If you are a Windows user, you need to install iCloud for PC to access your backups. GO to this link to download iCloud for Windows. 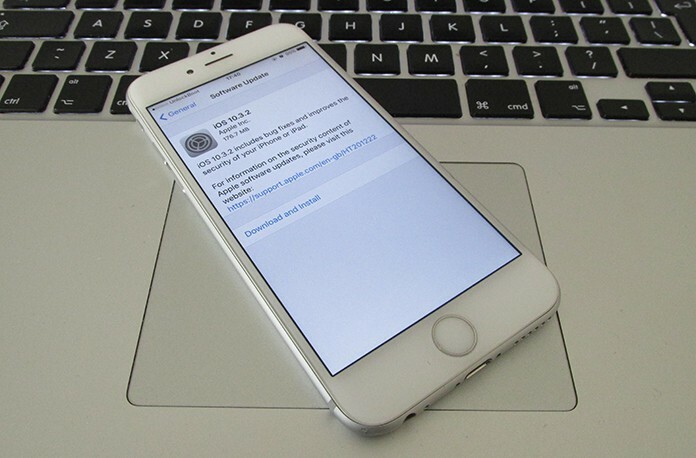 If you are still facing iCloud deletion problems, you can try resetting of your iOS device. Resetting will not affect your personal data but will fix many system problems. Only hold down home and sleep button at the same time until you see the Apple logo. Hence, you will reset your iOS device. Now try deleting your iCloud backups.